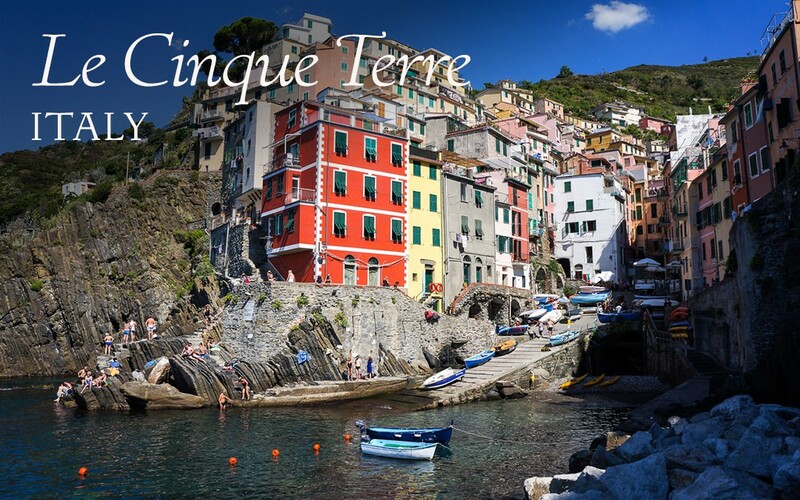 Cinque Terre is a very popular, picturesque place to visit especially during the summer months. 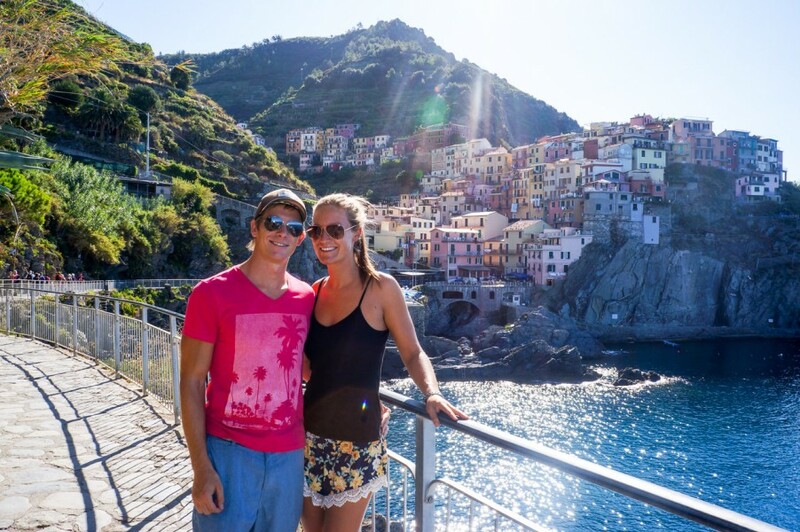 We were fortunate enough to celebrate 2 years of being married in Cinque Terre and did so in the beautiful town of Manarola. We can’t believe how fast 2 years has gone! Spending a total of 4 days in Cinque Terre was the perfect amount, you could spend less if you are on a rushed schedule but it is nice to enjoy each town and spread out the hikes. 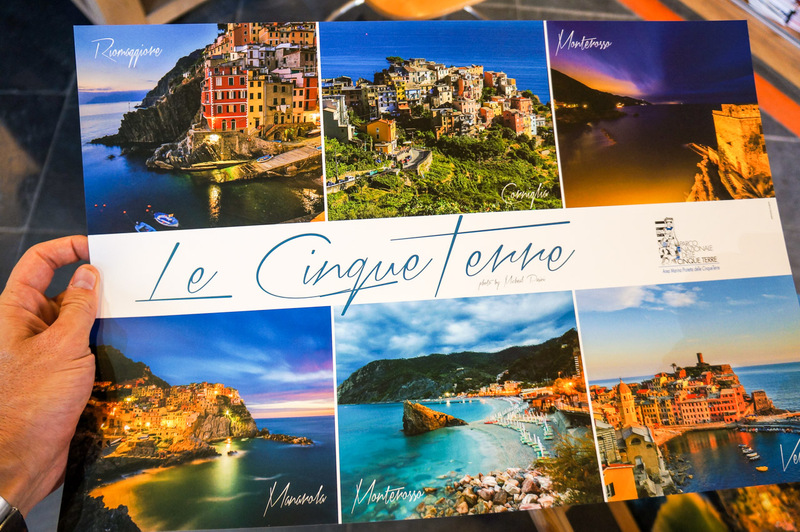 Firstly, for anyone who hasn’t heard of Cinque Terre or perhaps thought it was one city; Cinque Terre is made up of 5 small villages, Monterosso, Vernazza, Corniglia, Manarola & Riomaggiore. 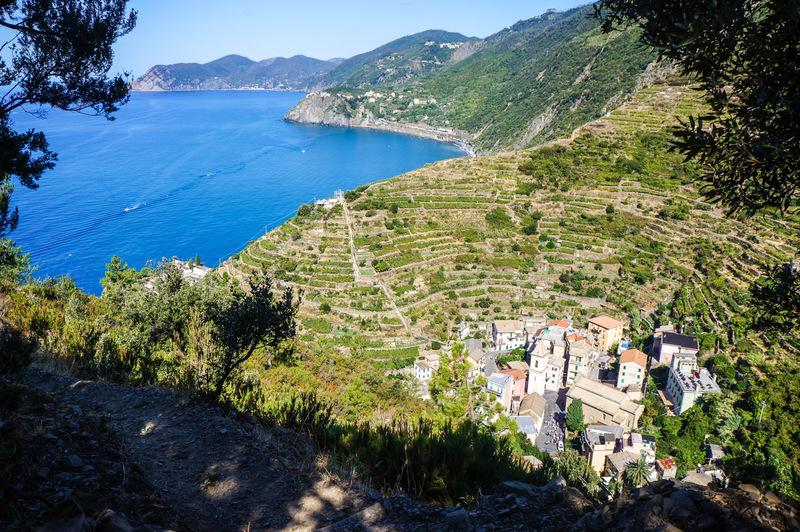 All of these villages can be accessed via a short train ride, ferries or alternatively hiking between them. There is no need to stay in a few of the villages, save yourself packing up and moving each day and pick one to use as your base. 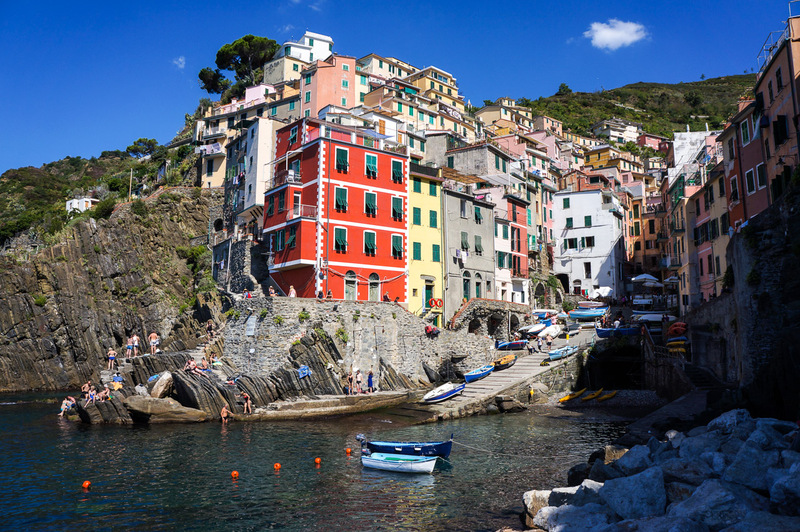 Riomaggiore – Cinque Terre’s easternmost village. 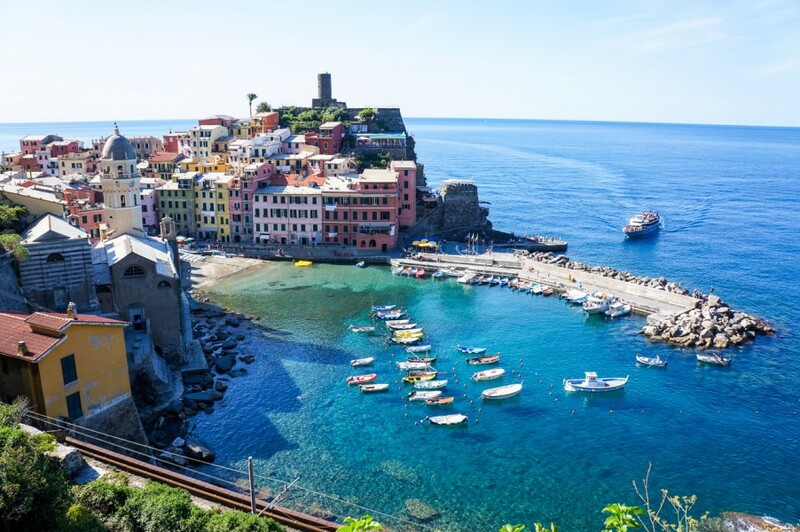 It has one main street, a harbour, a rocky beach around the corner from the marina, a castle, a church, and a dozen restaurants. 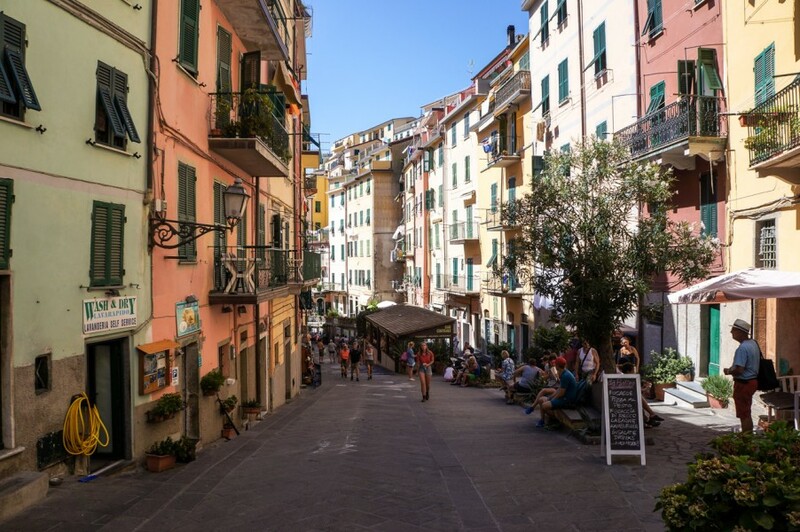 It also has good train connections and is the closest to the main city of La Spezia where you would most likely arrive from other main cities. 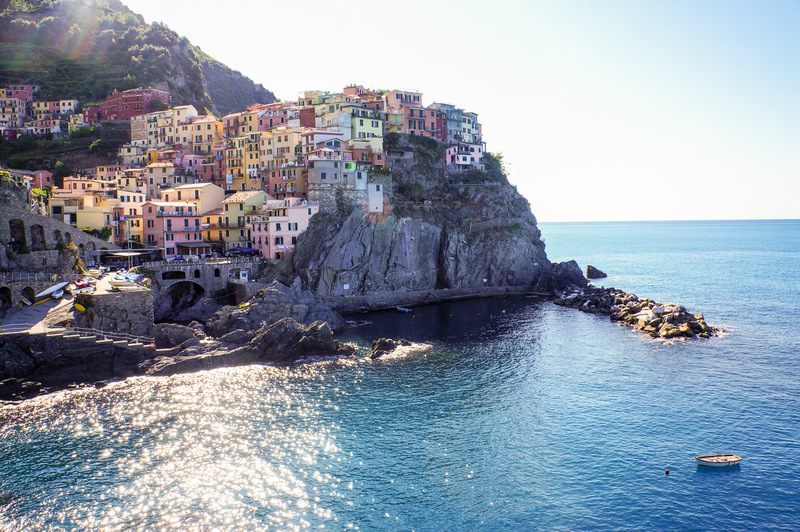 Manarola – It’s also a one street town, it has a small harbour where you can swim/jump off rocks. 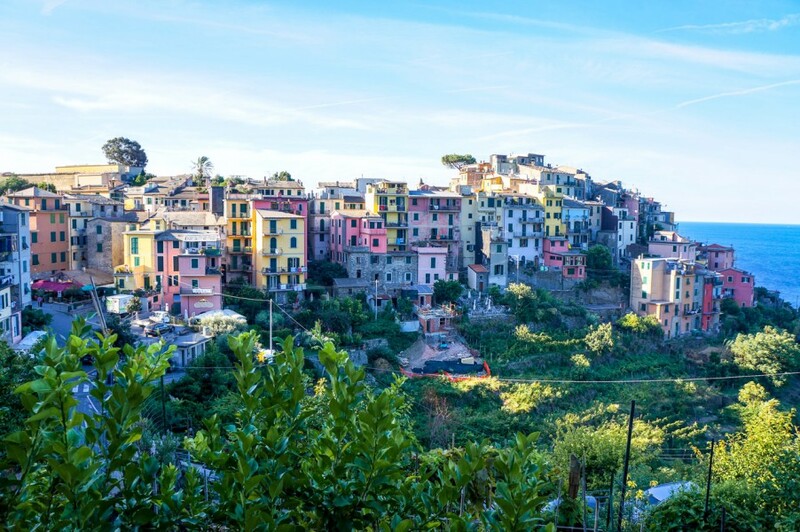 There is an incredible cliff of colourful houses where the most famous Cinque Terre photos are taken from. 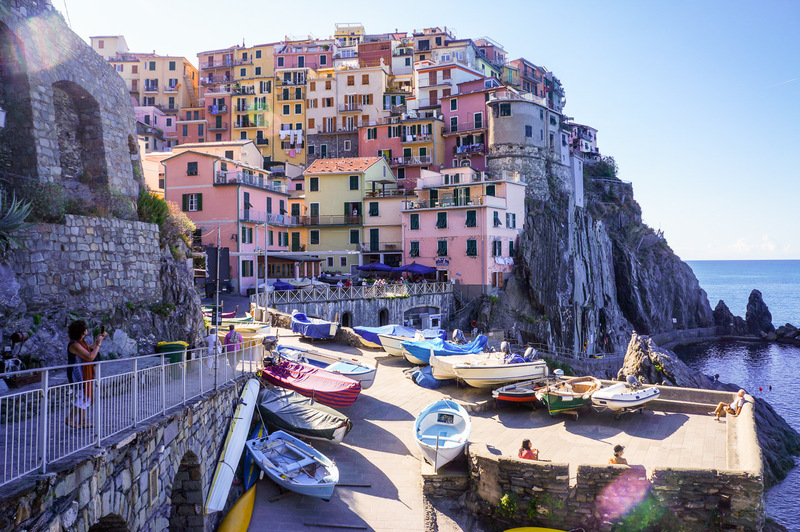 Manarola is the smallest village of them all and probably the prettiest depending on who you ask. Corgnilia – Perched high on top of a hill, to arrive in Corniglia you gotta climb up 365 steps or with the Cinque Terre card there is a free shuttle bus (€2.50 without one). We didn’t spend much time here but we did have one of the best ice-cream sandwiches! Vernazza – Vernazza is another one street town with a church built on the waterfront. We enjoyed the gorgeous waterfront piazza and a harbour with a very small beach. 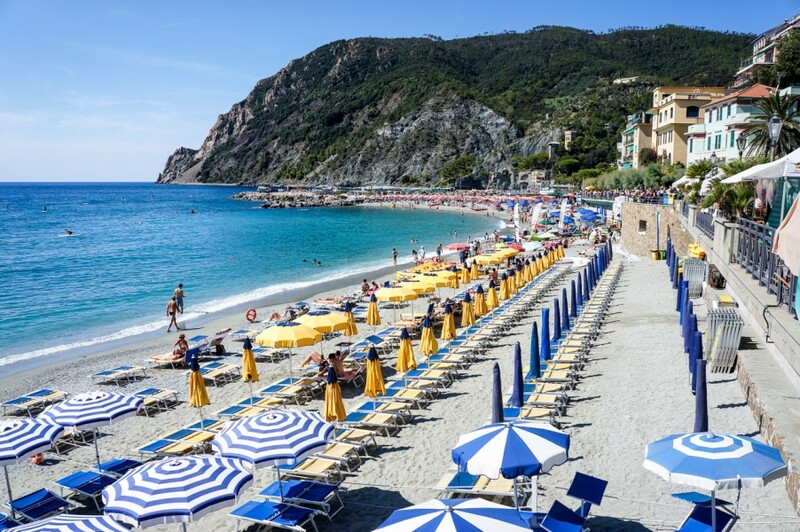 Monterosso – The largest of them all and the most accessible by car. 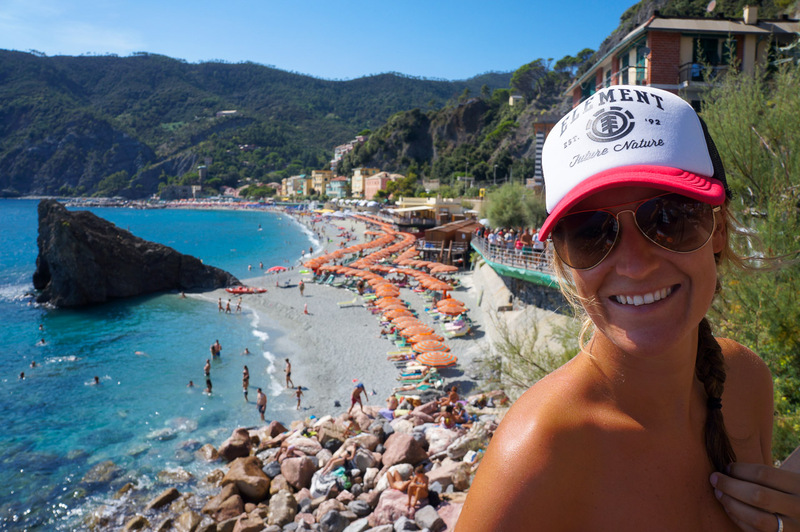 The landscape of Monterosso isn’t as picturesque as the others but it has the biggest beaches of them all. There is a new town and an old town and many restaurants and cafes. 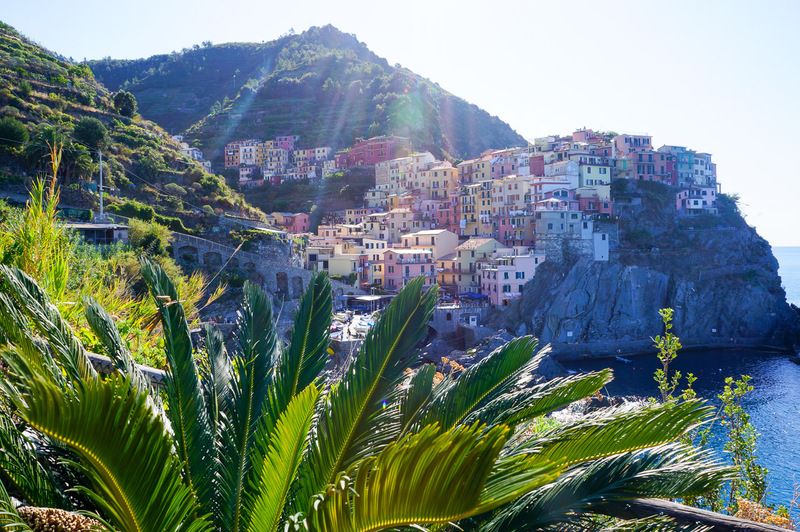 We stayed in the town of Manarola and after visiting all 5 towns, we couldn’t be happier. Why did we like Manarola? 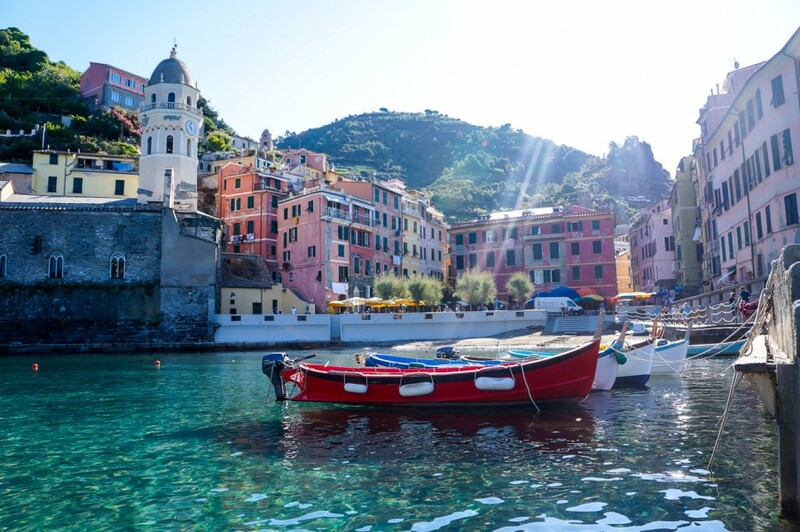 It was the smallest of them all, a one street town, and in our opinion the most picturesque. The houses were perched on a frontal facing hill and the streets had a handful of restaurants including a wine bar that had live music. 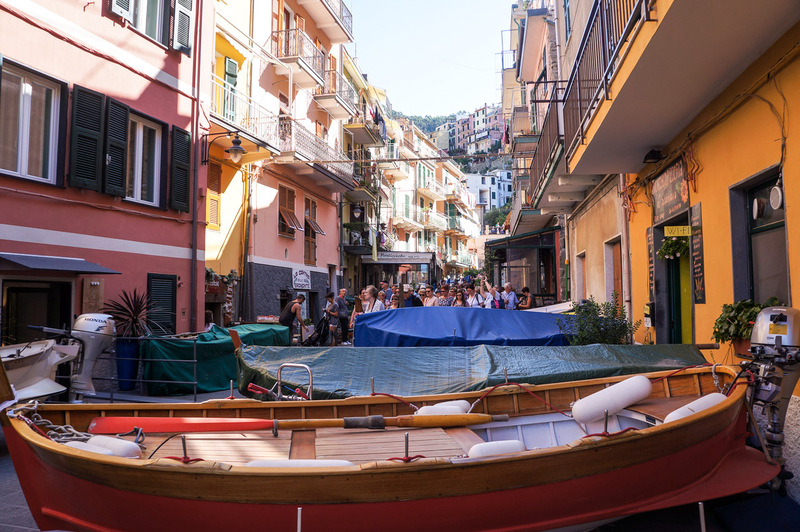 It was a little difficult to find accommodation as we left it a little late but we were recommended by some friends to stay at Ostello Cinque Terre Hostel. The hostel had basic rooms but it was the only backpacking friendly choice. 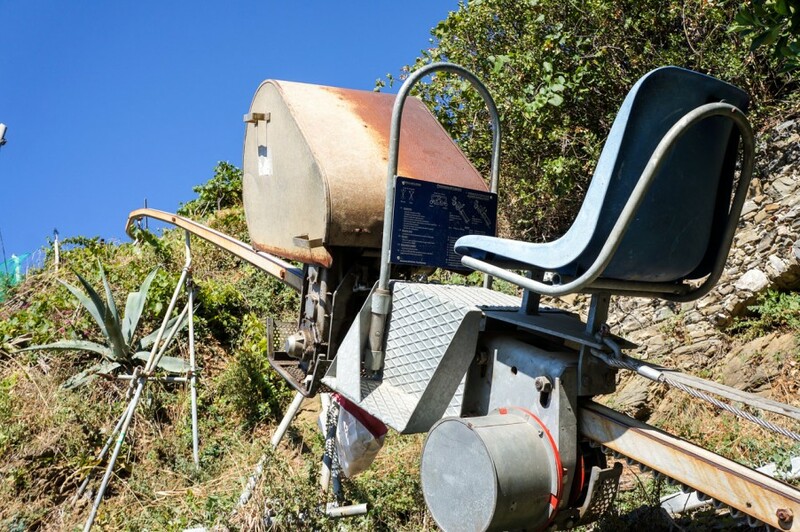 The most popular way to get around the 5 villages! 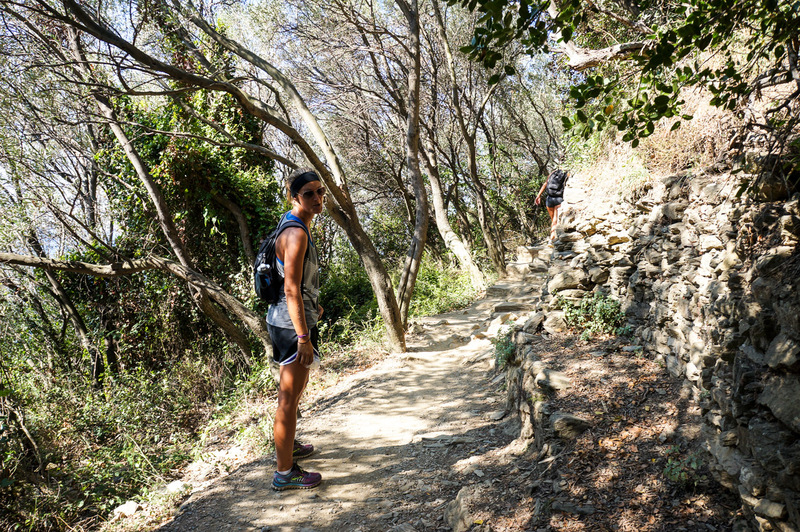 Most of the trails are free to hike with the exception of ‘sentiero azzurro’ which is also known as the blue trail. 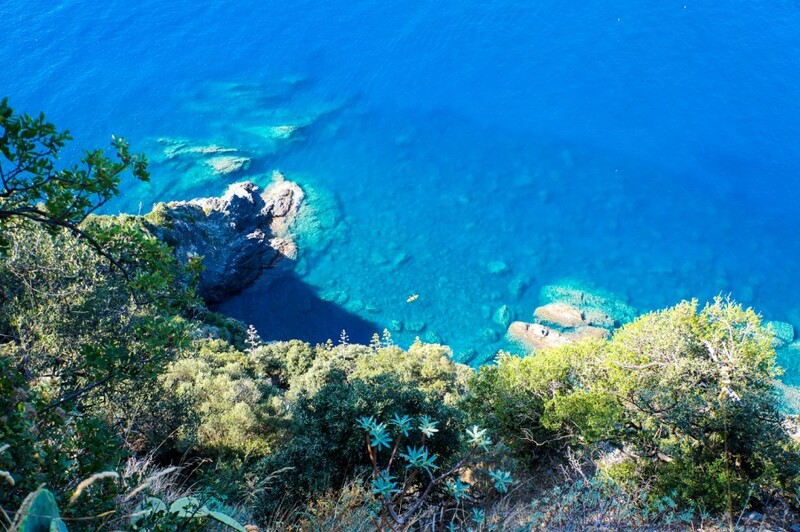 Unfortunately, due to an awful rainstorm a few years ago, some of the coastal paths along this hike have been closed however you can still hike up and over the mountains between Corgnilia and Riomaggiore. 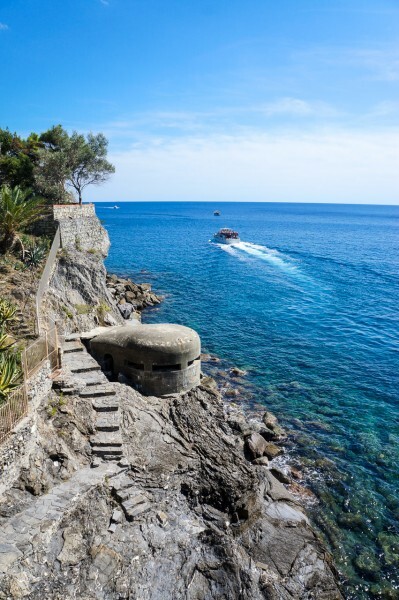 The coastal walk is open between Corgnilia and Monterosso. 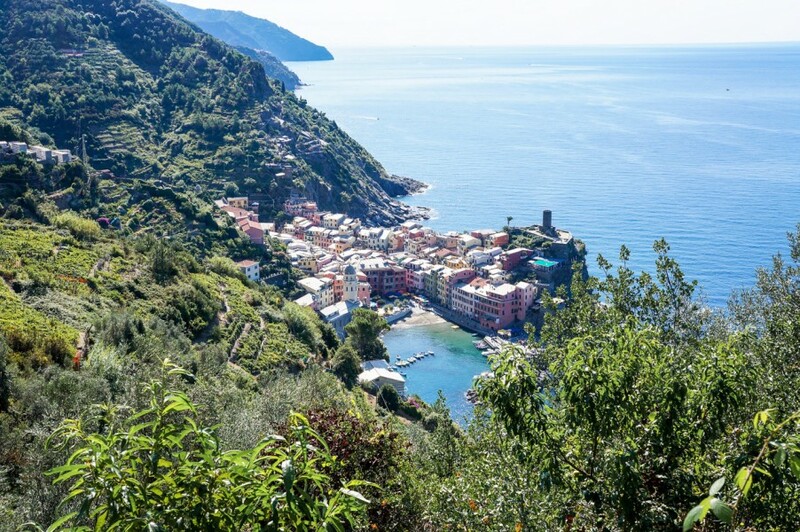 Tickets to hike the blue trail will cost €7.50 per person although The Cinque Terre Card bundles the price of the trains between the villages and a hiking day-pass. It’s €12. 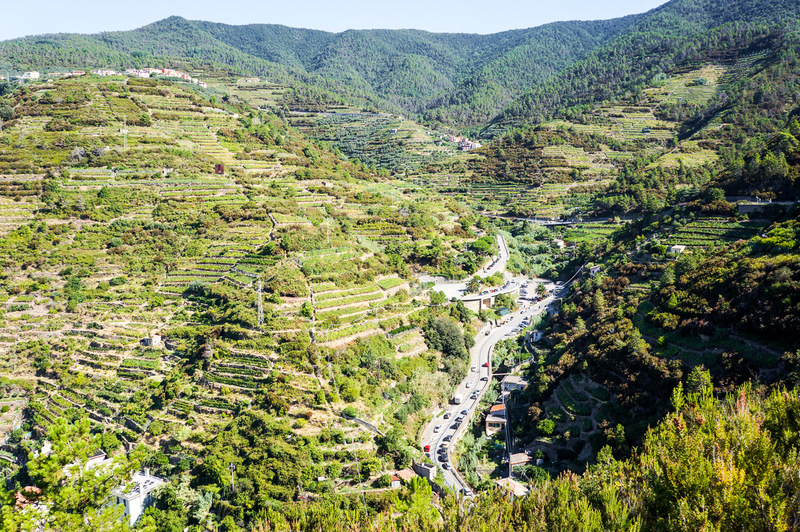 A 2-day pass is €23. They can be purchased at any of the train stations. The trails aren’t too hard. Just remember, when your hiking up, there’s a down coming on the other side! Many guidebooks recommend starting in Riomaggiore and ending in Monterosso and we have to agree. Why? 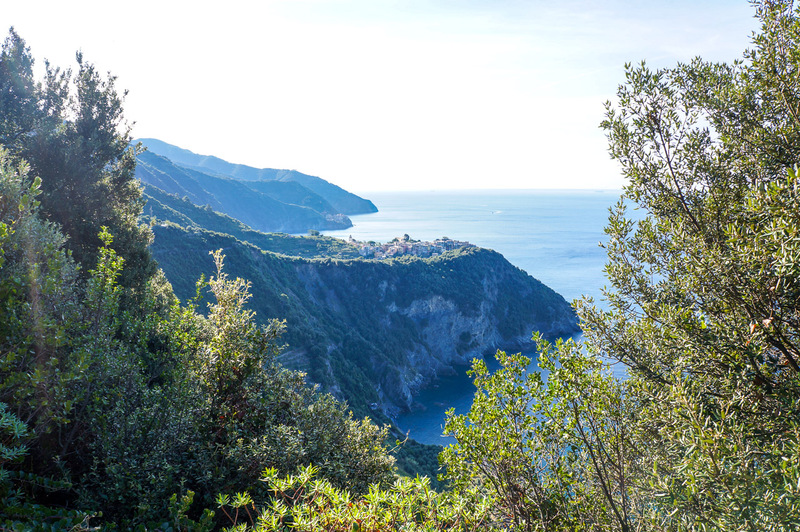 It was way less hilly walking towards Monterosso than it was coming from Monterosso ;). 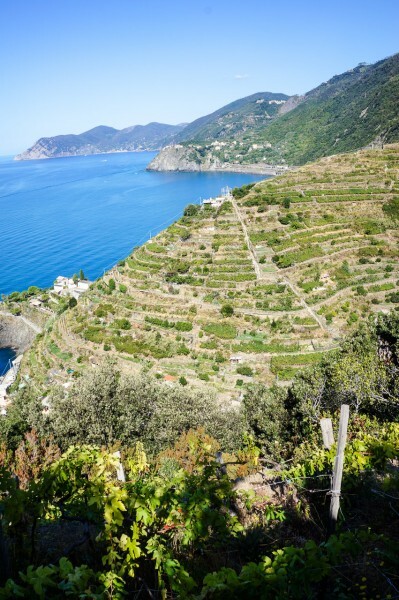 To find more extensive information on routes and hiking in Cinque Terre we recommend checking out Walks of Italy. 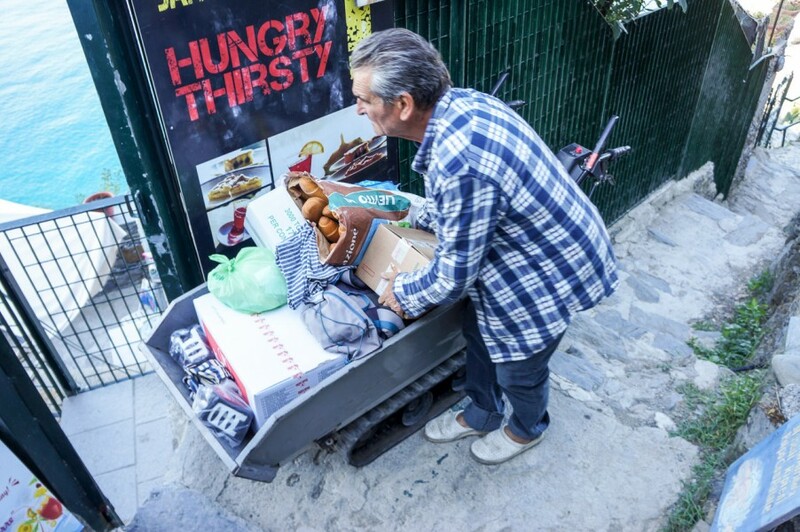 A very helpful post that we were able to refer to before deciding what we should do! 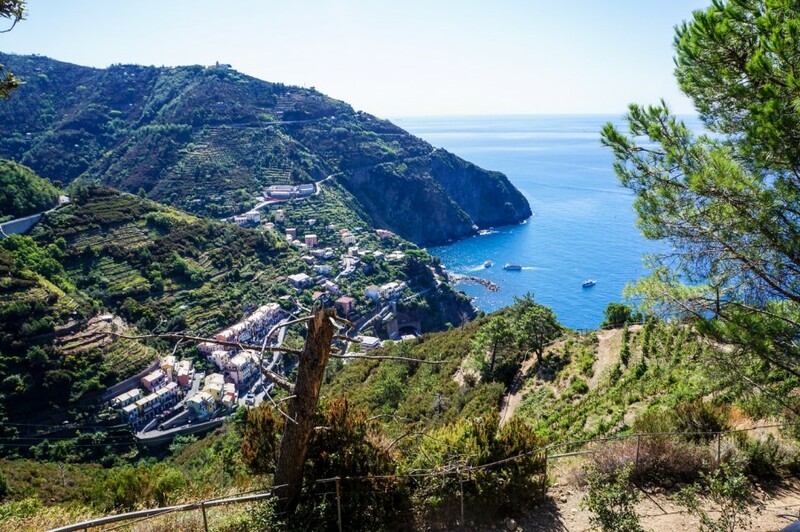 See here for more great places to go hiking in Italy. All of the stations have their own train station and the trains run fairly regularly throughout the day. 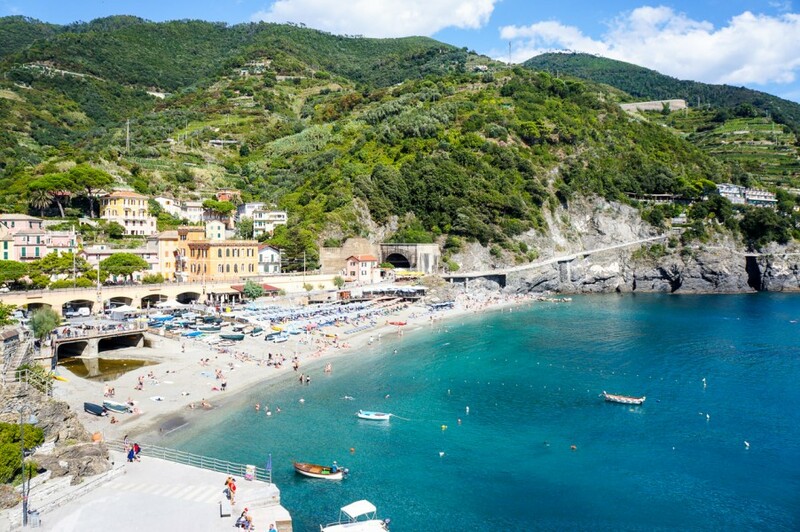 It takes just 13 minutes to get from Riomaggiore to Monterosso. 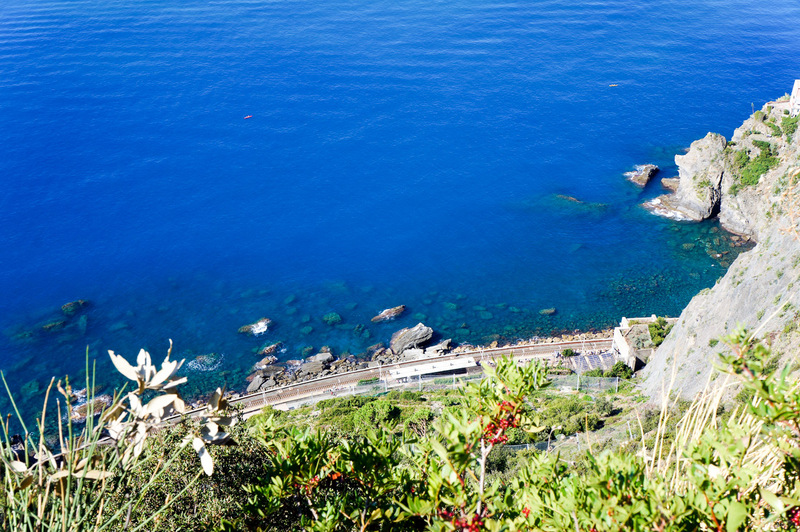 Unless you have the Cinque Terre card, you can purchase train tickets at the station. Don’t forget to validate! 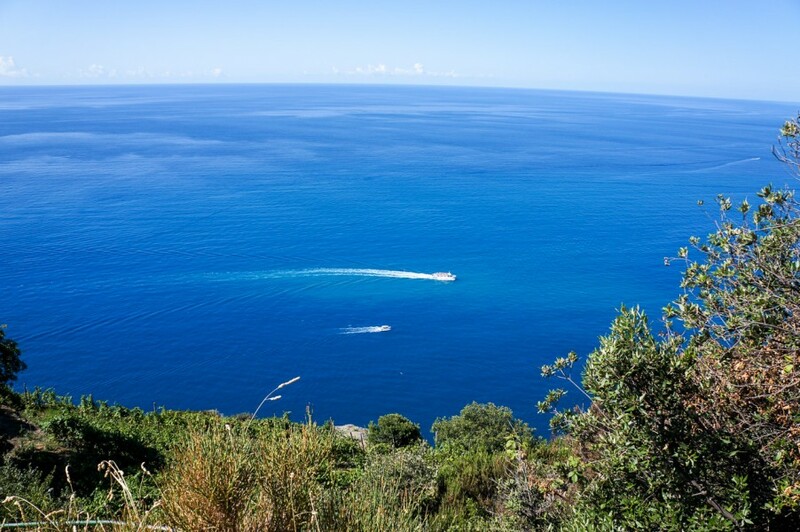 All of the villages (except Cornelia) have a ferry to transport people between villages. You can buy these from small booths on the harbours of most of the villages. This isn’t the fastest or the cheapest but it’s a great way to see all of the villages from sea view. Some of you may ask, where are the restaurant recommendations? Well, let’s just say that Cinque Terre isn’t the most budget, backpacking friendly place so, in all honesty, we couldn’t really afford to eat out! 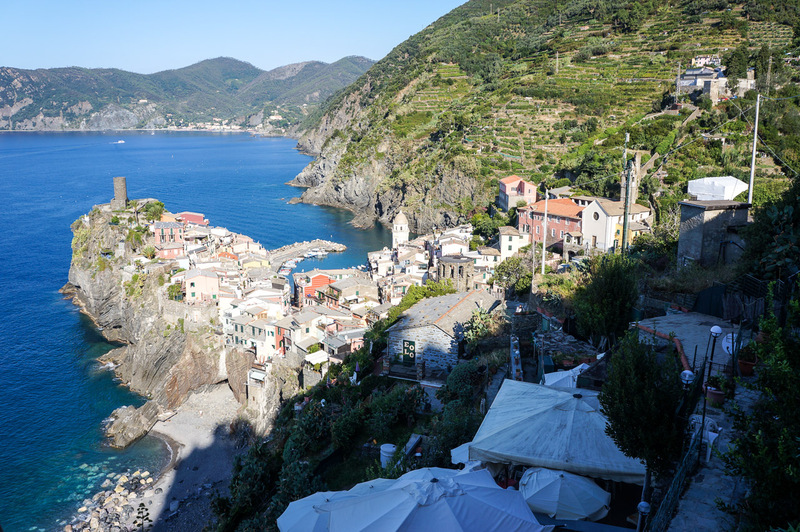 The cost of restaurants + the cover charge (Italians charge just for sitting down!) was a little out of budget so we splurged on a lot of takeaways, pizza and some homemade sandwiches. We did, however, enjoy an awesome cocktail for our anniversary at Nessum Dorma, dinner at Aristide and drinks/live music at Cantina dello Zio Bramante. Special occasions call for a slight branch out! Oh, and btw… to the guy next to us on the train who hasn’t showered in at least 20 days.. please don’t come on a train again without the use of soap and deodorant! What a long smelly 3-hour trip that was! 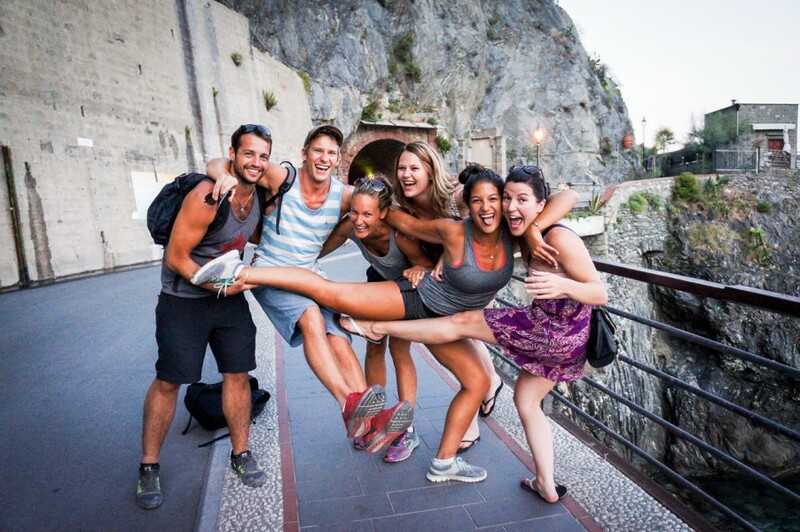 We're Jacob & Emily Cass and since 2009 we've been globetrotting, visiting over 85+ countries. 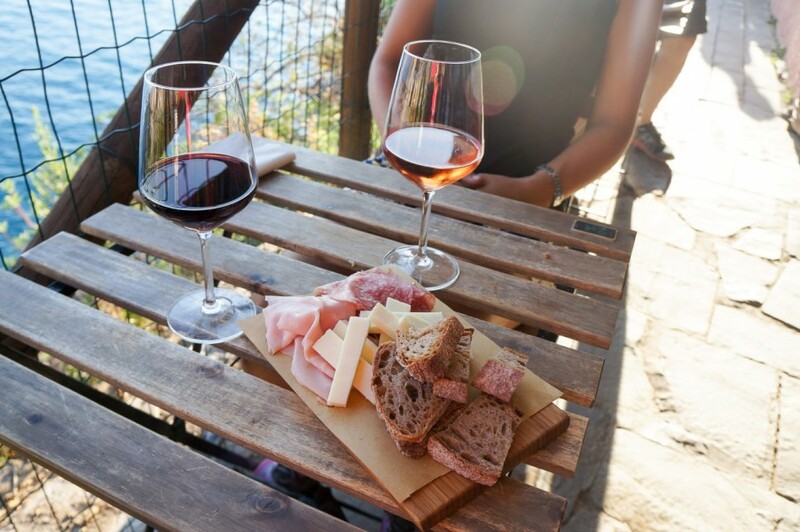 Get our tips to travel better, cheaper, tastier & longer! Learn more about us. We're Jacob & Emily Cass and since 2009 we've been globetrotting around the world, visiting over 85+ countries. 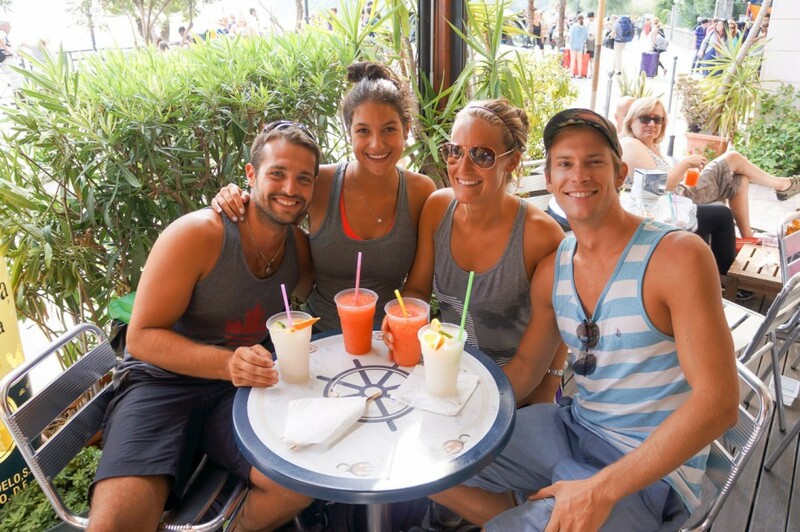 We hope to inspire you to travel with our insider tips & stories! Learn more about us. 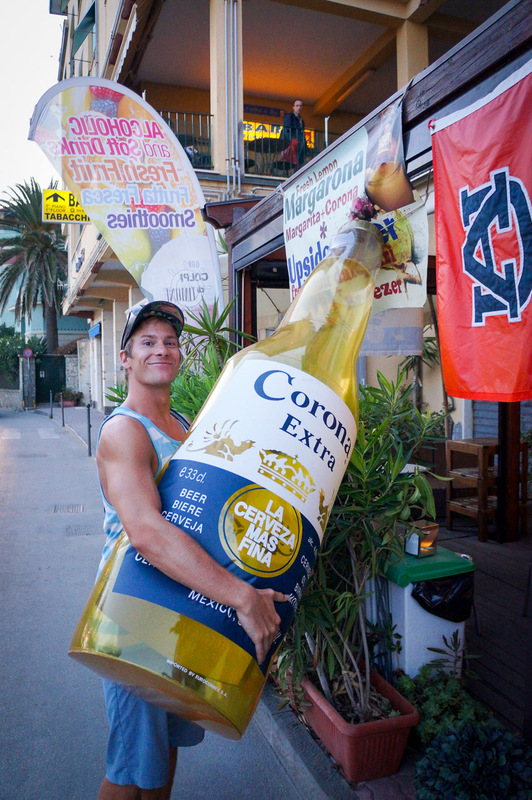 Looking to promote your product, hotel or service? Get our latest blog posts, updates and deals. 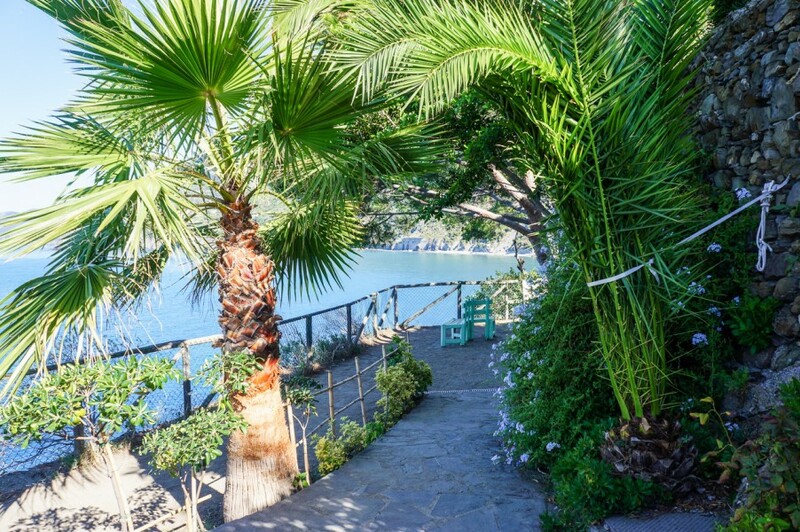 Just Globetrotting | Jacob & Emily Cass. Keep Calm and Travel On.